Below are pictures and short bios of some of our our "Sponsor Ferrets", shelter ferrets who are in need of costly medical treatment. 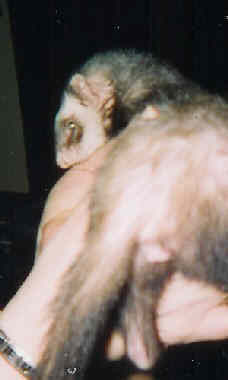 If you are able, please make a donation or any amount, to contribute towards this ferret's treatment. You do not need to be a member of Metro Ferret to make donations for this ferret's care. We hope to raise enough to cover the cost of this ferret's treatment, to absorb the cost from the shelter. 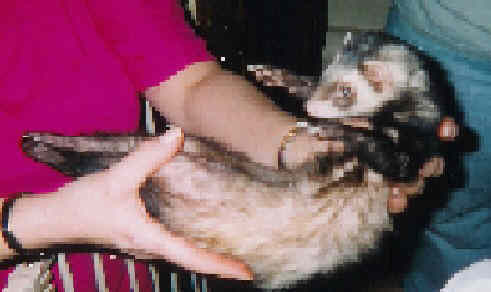 We also accept personal checks to 'Metro Ferret' and PayPal.com payments to ' admin@metroferret.com'. Please specify which ferret you wish to sponsor when making a donation! Thank you so much for helping the ferrets in need! Chocolate: She is a 5-year old female, who is in need of adrenal surgery, or Lupron Injections. The surgery will be over $500.00, or the injection options will be $125.00 every three months. Snowflake: She is a 3 year old DEW, with 3 legs. Snowflake's other leg was so twisted from paralysis, that she could not make her 'business'. It had to be removed, and she is now a permanent shelter resident. Bear - Bouncy Bear is a sweet, young male ferret, about 3 years old. Bear was brought in to an emergency vet by two young boys. He is paralyzed in the rear, from a traumatic injury. Update: Bear has been ADOPTED!! We wish him the best of luck with his new Mommy! Please click here to see Bear's story as featured in the ASPCA news letter! 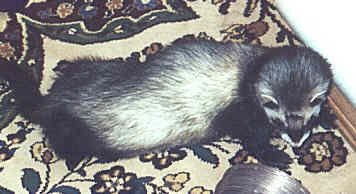 Freddy: Freddy is a permanent shelter ferret, as well. He has severe lymphoma, everywhere. You can help by making a donation towards his medical care today! Peaches: Female 5-6 years old, with Adrenal Disease. Peaches is on Lupron, and requires costly injections to help control the disease. Please make a donation today! Sleet: Another permanent shelter resident, Sleet is too old and grumpy to be adopted. He has several health problems, and doesn't care for people. You can show him that you care by sending a donation towards his veterinary care today! We would like to send our special thanks to Jeanne Franks from New Jersey, who made a special donation to help care for Bouncy Bear. Jeanne, you are our hero, making the largest donation we have ever received!! Thank you is just not enough. You've made our year! 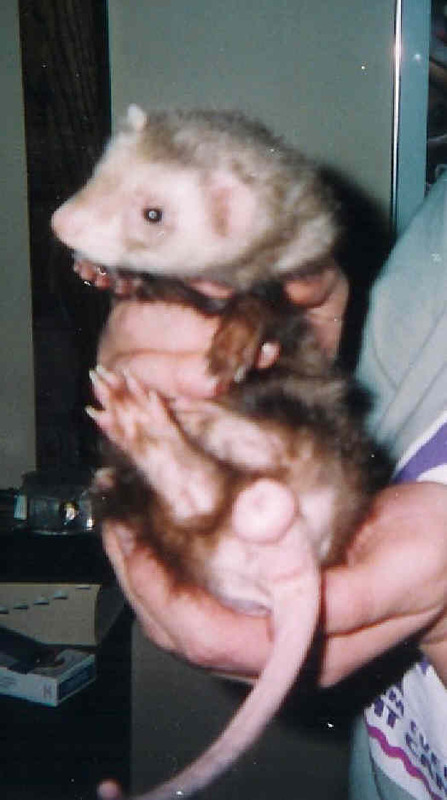 So far, people have viewed these ferrets, and, hopefully, helped by making a donation towards his medical treatment.